LG’s latest and greatest flagships, the LG G8 ThinQ and LG V50 ThinQ, are finally here, boasting improved specs, a new design, and more. 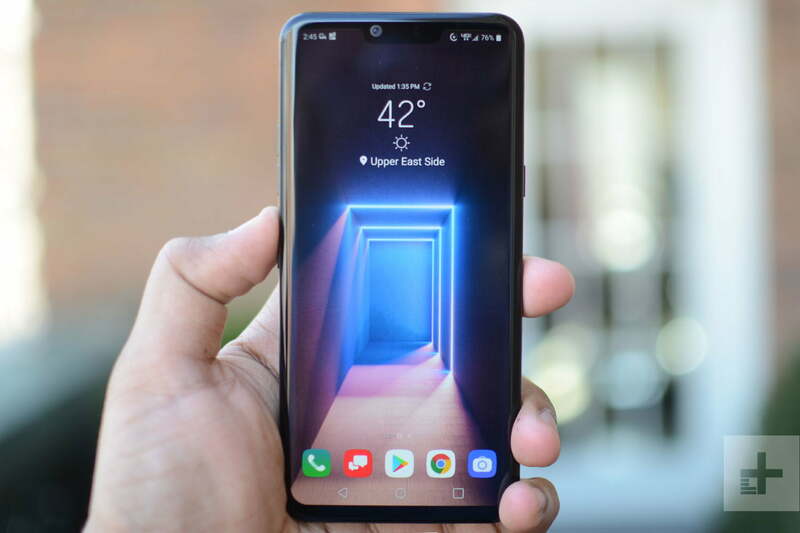 The devices were unveiled at Mobile World Congress 2019 and while it may not be as highly anticipated as the Samsung Galaxy S10, the LG G8 ThinQ still offers a range of great new features and is well worth buying for those in the market for a new phone. The LG V5 ThinQ is particularly interesting, given the fact that it’s LG’s first smartphone to support 5G. If you are in the market for a new phone, there are a number of ways to get your hands on the devices. Whether you want to buy them through your carrier or unlocked, here’s how to buy the LG G8 ThinQ or LG V50 ThinQ. The LG G8 ThinQ is finally available for purchase and there is a range of places you can get it from. To get the phone unlocked, you can buy it from outlets like Best Buy, B&H, LG and more. The device comes at $850 unlocked, though some outlets are offering the phone at a discount at launch. Pricing and availability for the LG V50 ThinQ is a little more concrete — but not much. We still don’t know exactly when the phone will be available, nor how much it will be. Given the fact that that the phone has 5G compatibility, we do expect it to be a little more than the V40 ThinQ, which came at $900. The LG V50 ThinQ could be $1,000 or more, given current trends in smartphone pricing. While not much information about pricing or availability of the LG V50 ThinQ is known just yet, we do know about the LG G8 ThinQ, which will be available from carriers starting on April 12. Here’s everything you need to know about carrier availability of LG’s latest flagships. On AT&T, you’ll be able to get the LG G8 ThinQ for $27.67 per month for 30 months (a total of $830.01) on the AT&T Next plan. The phone will be available online and in-store starting on April 12. AT&T pricing and availability for the LG V50 ThinQ has yet to be announced. We’ll update this article as we hear more. If you’re on Sprint, you will be able to get the LG G8 ThinQ for $15 per month on an 18-month lease after a $20-per-month bill credit has been applied to your account. Alternatively, you could simply pay full price and get the phone for $840. The device will be available starting on April 12. We know for sure that the Lg V50 ThinQ will be available on Sprint’s network, and Sprint says pricing and availability will be announced “soon.” For a time, the V50 ThinQ will actually be exclusive to Sprint, though other carriers will eventually get the phone as well. On T-Mobile, you’ll be able to get the LG G8 ThinQ for $25.84 per month for 24 months — which is actually quite a bit less than other carriers considering it equates to a total of $646. If you want to pay in full you’ll get a discount too — you can get the phone for $620 up front. The phone will be available on April 12. We’re not sure exactly if the LG V50 ThinQ will be available on T-Mobile, but we’ll update this article as we hear more. The LG G8 ThinQ will be available from Verizon starting on April 12, and you can get the phone for $35 per month for 24 months, or a total of $840. Verizon is also offering a few pretty great deals for the LG G8 ThinQ. For example, you can get up to $450 off of the phone when you trade in an old smartphone and add a new line, or up to $200 off when existing customers trade in their old phone and buy an LG G8 ThinQ. Customers will also get a $200 prepaid Mastercard when they switch to Verizon and get a new LG G8 on a Verizon payment plan and activate the phone on an eligible Verizon unlimited plan. Last but not least, customers can get $350 off of an LG G8 when they buy the phone on a Verizon device payment plan and activate a new plan. While Sprint will probably be the first to offer the LG V50 ThinQ, it will soon follow on Verizon, too. The device will be available on Verizon at some point in the summer.